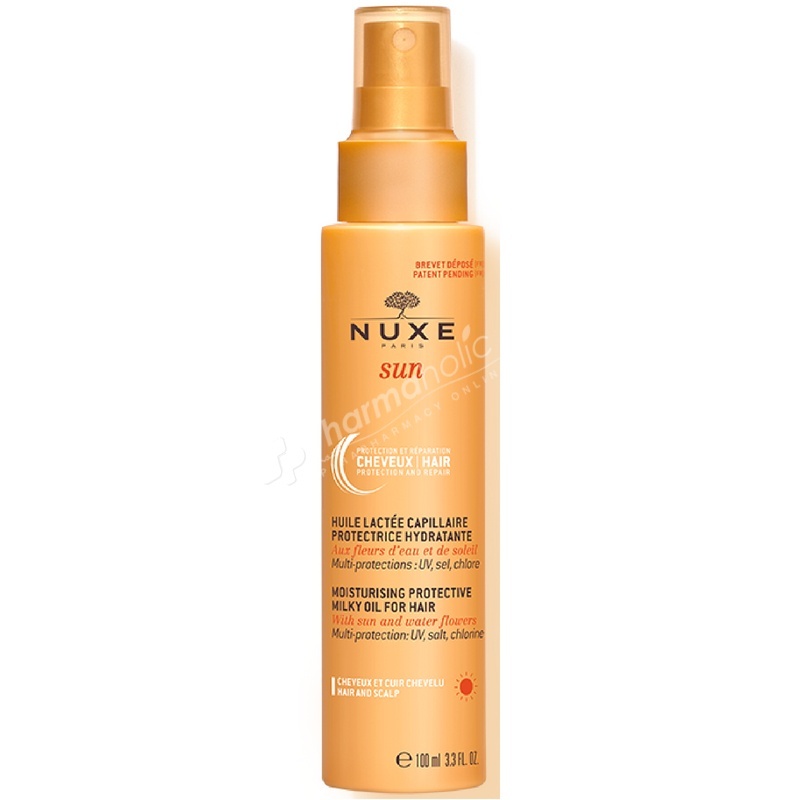 Nuxe Sun Moisturizing Protective Milky Oil For Hair is a multi-purposes care for hair and scalp in case of sun exposure This oil with sun and water flowers protects the hair against UV, salt and chlorine. It repairs and sublimates the hair fiber. Nuxe Sun Moisturizing Protective Milky Oil For Hair 100ml is a multi-purposes care for hair and scalp in case of sun exposure. This oil with sun and water flowers protects the hair against UV, salt and chlorine. It repairs and sublimates the hair fiber. Results: the hair is moisturized and smoothed, supple and sublimated. The color is protected. Resistant to water. Paraben-free. Alcohol-free. Apply 20cm far from wet or dry hair, before and during sun exposure.